This is a simple but very popular Vietnamese dish known as tôm kho tàu. It tends to be heavier on the salty side so load up on lots of fresh vegetables when you eat this! 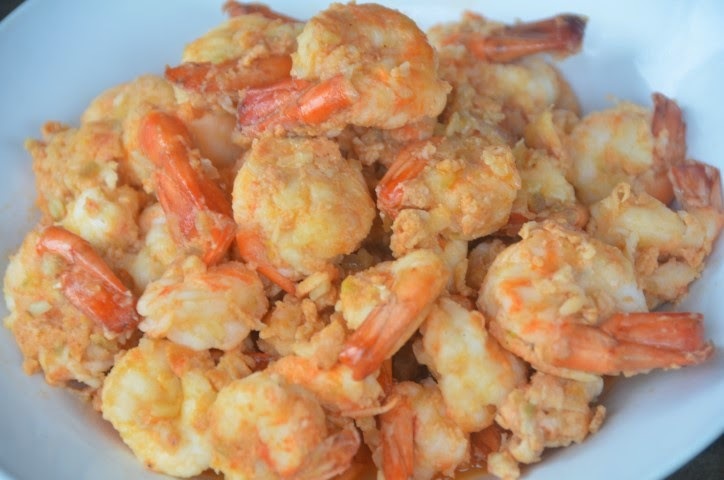 I have made a similar dish but with a few different ingredients, Sauteed Shrimp with Roe. My cousin Sieu Hui makes this with garlic, salt, sugar and MSG. She also marinades her prawns with the rest of the ingredients for about 15 minutes. Here I made this with less salt and no MSG. 1) Heat a small pan over high heat. Once the pan is hot add oil. 2) Add garlic and shallots, saute about 30 seconds to a minute. Avoid burning the garlic. 3) Stir in the prawns and its juice and roe. Stir occasionally but gently for about 4 minutes or until the prawns are curled up and just cooked. May turn the heat down slightly if needed. 4) Season with salt and sugar. 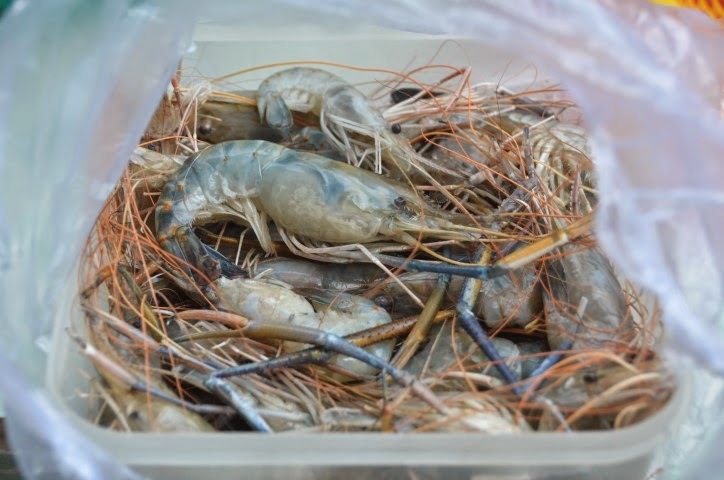 Cook for another minute or until the prawns are completely cooked. *If you prefer this dish to be saltier then just add more salt according to your taste. *You can make this by using Maine lobsters if you have any. My mother (in Maine) makes this and it's very tasty. In the summer she serves this with plenty of home-grown vegetables and herbs.